With cool things to push, pull, and slide on the cover and each sturdy spread, plus fun facts on every page, this chunky board book gives children their first enticing taste of nonfiction! 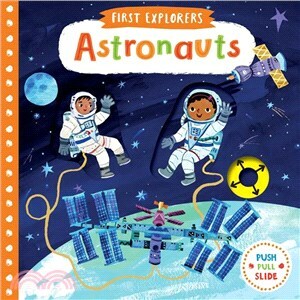 Blast off on an adventure to the International Space Station! Join the astronauts on their long journey and learn how they work, eat, and sleep in this zero-gravity atmosphere. With the fun interactive features, kids can make the rocket take off, go on a space walk, watch the sun rise and set 16 times a day, and more. Simple science facts will fascinate budding astronauts and astronomers. Christiane Engel is an award-winning children’s book illustrator whose work includes ABC Yoga and ABC Love (both Quarto). She lives in South East England with her family.